Foo Fighters are headlining DIRECTV’s Super Saturday Night on February 2nd at Atlantic Station in Atlanta with special guest Run The Jewels. The show is sold out and will be streamed live to fans across the world on Twitter and airing live on Audience Network on DIRECTV channel 239 and DIRECTV Now. 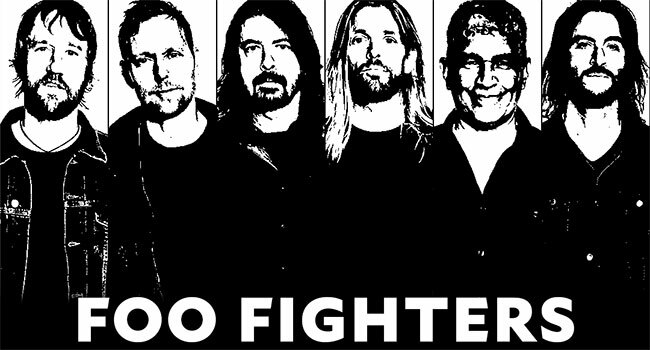 The live stream begins at 10:30 pm ET with Foo Fighters hitting the stage at 11 pm ET. Ahead of time, fans watch a new short film written and directed by Foo Fighters’ own Dave Grohl, featuring Curt Menefee, Terry Bradshaw and Michael Strahan — and of course some more familiar faces — in a hilarious time warping homage that presents the familiar Foo Fighters comedic chops in a classic 1970’s cinematic style and story. The Foos are set to release “Big Me” as a Record Store Day (RSD) exclusive 3″ LP single on April 13th. The reissue is among many RSD exclusive 3″ records that will be playable on specialized miniature record players, including the Raconteurs’ 2006 single “Store Bought Bones.” More details are forthcoming.